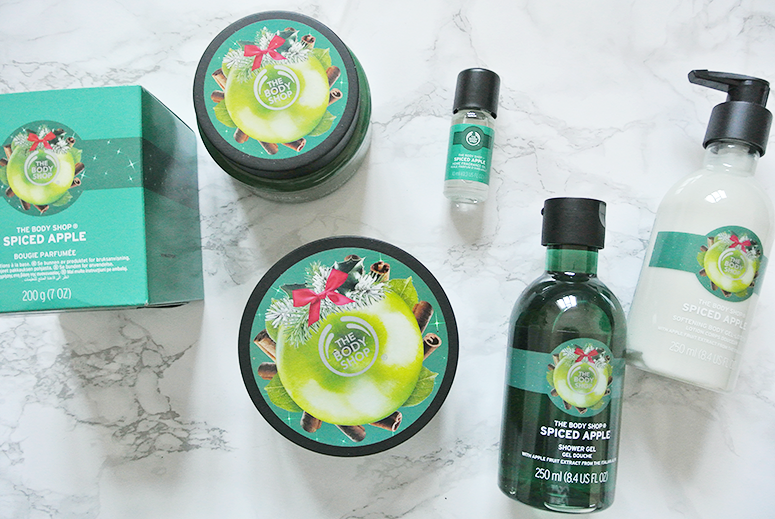 The biggest box came from The Body Shop, because just before I left for the Netherlands for the holidays a friend gifted me the Spiced Apple Festive Tin, and I'd fallen head over heels for the fragrance. 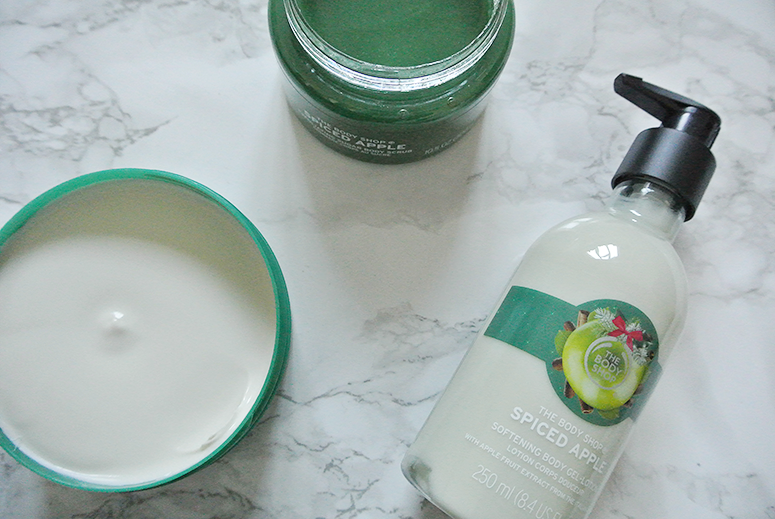 I'd been on the look-out for a new signature scent for Christmas after I was unable to find the Scottish Fine Soaps Company's Gingerbread products (a real favourite a few years back) and the Spiced Apple is an absolute winner. Both fresh and spicy, it perfectly emulates the fragrance of the season. Fun story: One time I was applying the hand cream on the train when another passenger came on board and instantly said "It smells Christmassy in here!" I absolute adore the scent and the fact it lingers just ever so slightly after application, and so picked up as many items from the range as I could. I also got a new hair brush as mine was starting to look a bit gross. I love the bamboo one from The Body Shop as it truly helps against the frizz. And, finally, I bought a nail and cuticle oil because it was in the sale and I'd like to try it. Products below are linked if they're still available with the price I paid for it listed in brackets (please note that I placed my order when there was an additional 40% off everything, so prices may have changed since). Spiced Apple Scented Candle (from £10 for £4.20), Spiced Apple Body Scrub (from £15 for £4.50), Spiced Apple Body Butter (from £14 for £4.20), Spiced Apple Home Fragrance Oil (from £4 for £1.50), Spiced Apple Shower Gel (from £5 for £1.50), and Spiced Apple Body Gel-Lotion (from £8 for £2.40). 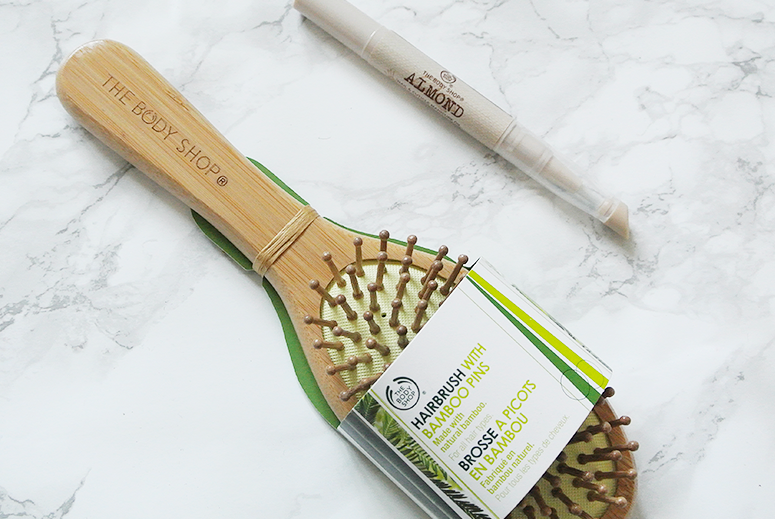 Oval Bamboo Pin Hairbrush (from £8 for £4.80) and Almond Nail and Cuticle Oil (from £7.50 for £1.95). 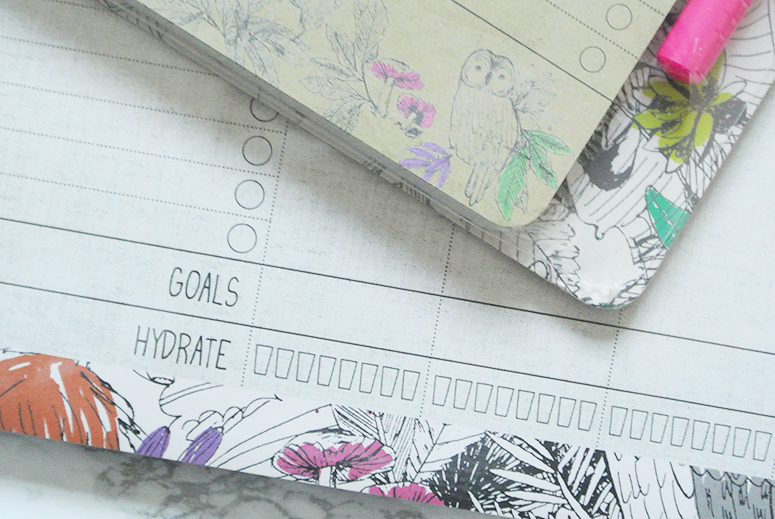 The Woodland Tails range from Paperchase is one of my favourites from theirs in recent years. The colours and design perfectly match my style and they're decorated with woodland animals, what more could I possibly want? A friend had already gifted me the gorgeous notebook for Christmas and when two other items I'd had my eye on for a while went into the sale I couldn't resist them. I normally buy a lot more at Paperchase in the Boxing Day Sales, including Christmas cards and gift wrap for the year ahead, but this year the prices haven't dropped very much yet, hopefully this will still happen! 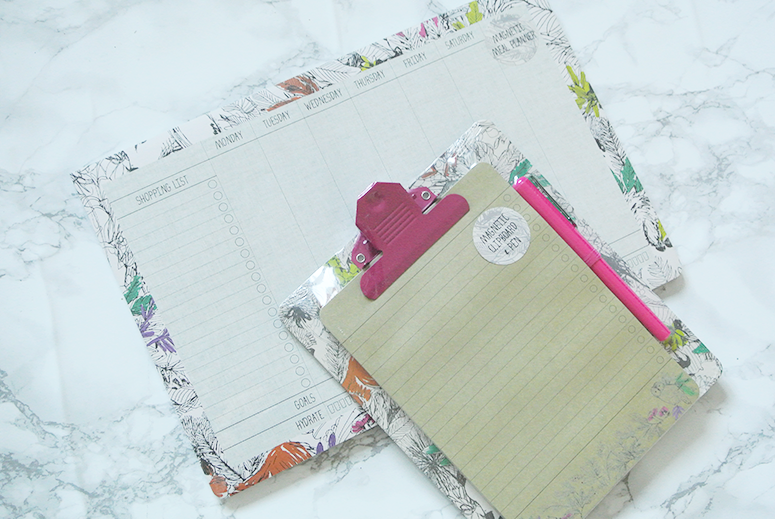 Woodland Tails Magnetic Clipboard (from £7 for £4.90) and Woodland Tails Meal Planner (from £6 for £4.20). Boots was the sale I was most excited for as I'd gotten some great stuff in past years but this time around it wasn't as good. The first time I was actually ready behind my laptop on time (as this one starts early; on Christmas Eve), there were some issues and the sale was delayed considerably, making me wait around most of the day. When it eventually started, the majority of the brands I usually look at didn't have any stock left, and the Christmas-scent diffusers I'd had my eye on also weren't in the sale (and they still aren't, surprisingly. Who would buy them at full price so long after Christmas?). I did manage to pick up two gifts (for myself), one being Cath Kidston, always a favourite, and one with a trio of Christmas scented candles. I'm burning one of them while typing this and while the candle smelled lovely when it came out of the box, when burning it has no scent, which is disappointing. Ah well, at least I have the Cath Kidston products, which I know are good. 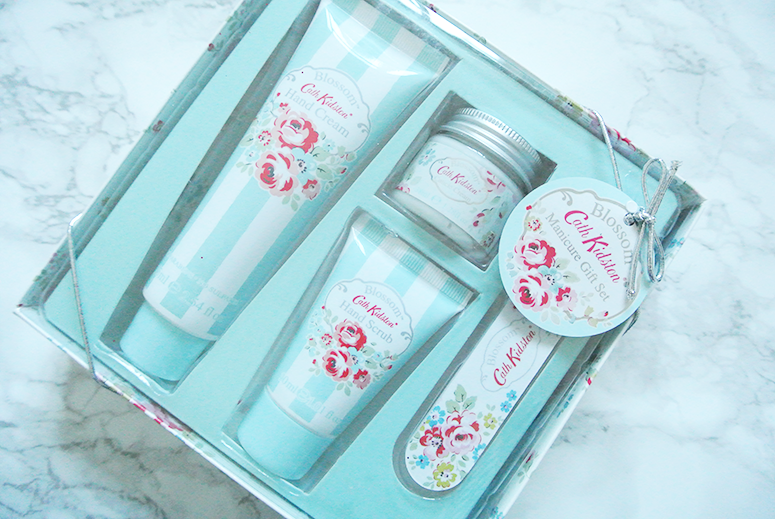 Cath Kidston Manicure Gift Set; Hand Cream, Hand Scrub, Cuticle Cream, Nail File (from £13 for £6.50). Boots Home Fragrance Festive Candle Set; Winter Pomegranate, Christmas Pudding, Spiced Apple Crumble (from £10 for £5). Fat Face is usually my biggest splurge but I bought a bunch of new things from them in November and so there wasn't anything more I really needed. 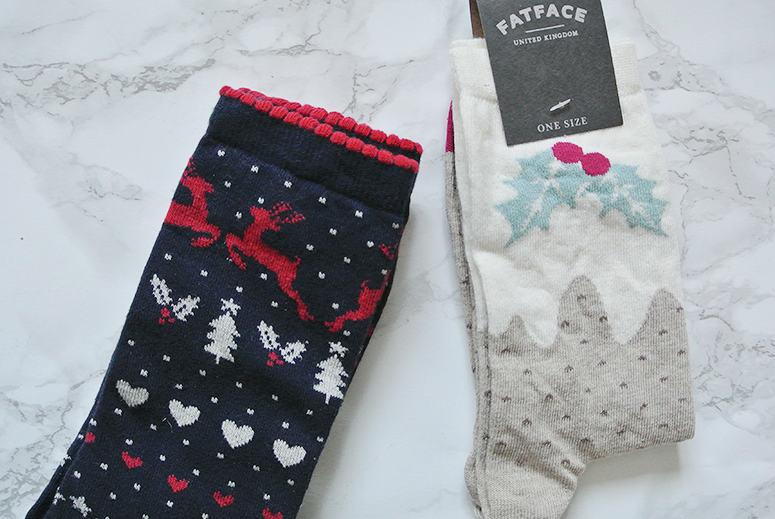 However, I couldn't resist some super cute Christmas socks (even though my sock drawer is officially overfull and I have to now also store them in a separate basket, oops), because why not? Reindeer Socks in a Box (from £6 for £2) and Christmas Pud Socks (from £6 for £2). 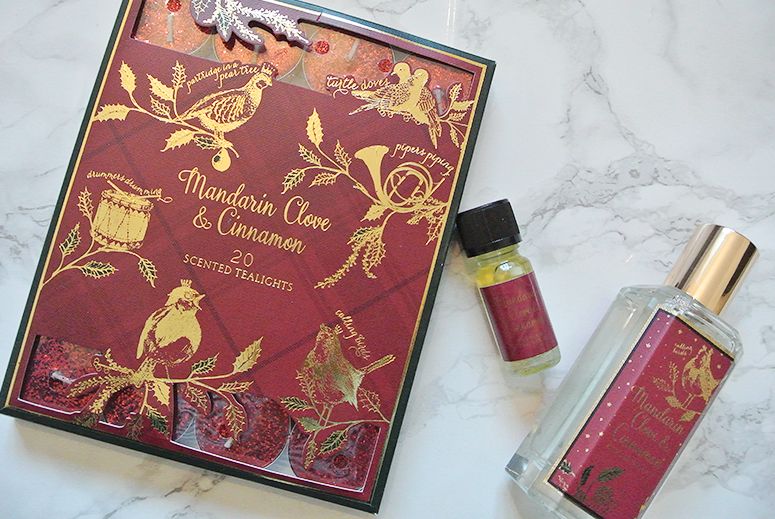 I'd popped into M&S before Christmas to pick up some boxes of truffles as festive gifts for people, and while doing so I got distracted by their excellent Christmas home fragrances (as you do). Unfortunately I kind of forgot about this until after I'd left for the Netherlands and so I didn't end up buying products in my favourite fragrance; Mandarin, Cinnamon & Clove. Luckily for me, when I got their email to say the sale had started there were still some items from the range left, which I managed to snap up. 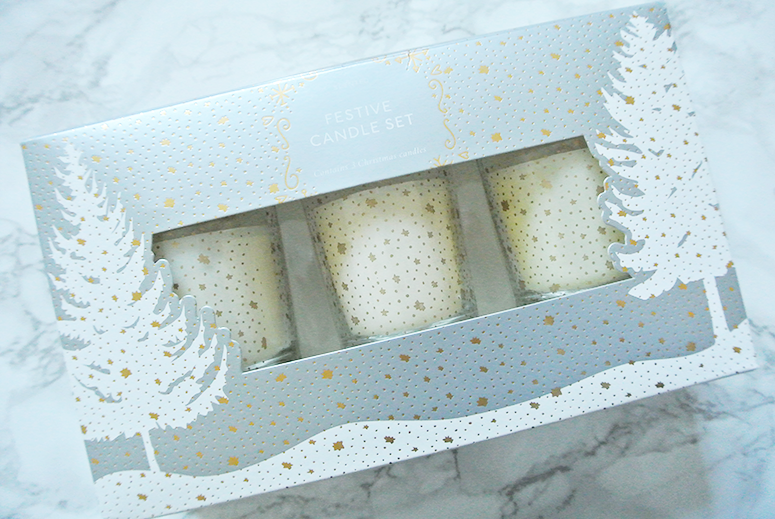 It's one of my all-time favourite scents and so I don't mind using it after Christmas – it can make my room smell lovely for the rest of the year too. Scented 20 Pack Glitter Tea Lights (from £5 for £2.50), Refresher Oil (from £2.50 for £1.50), and 100ml Room Spray (from £5 for £2.50). Last, but certainly not least, I've been on the look-out for a new daily handbag. 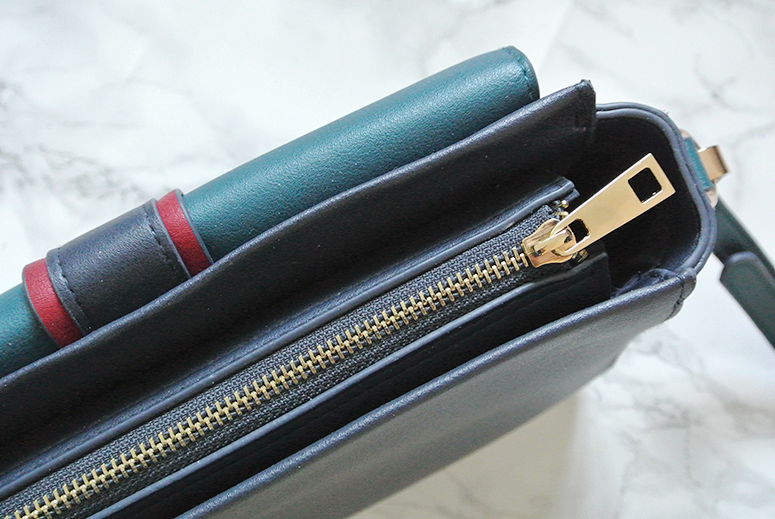 I bought a few from Accessorize hoping that one would be the one, but when I picked them up they weren't quite right (mostly they looked too chunky because they were hard-shaped bags, not soft ones). However, I did keep one of the cross-body ones (a smaller one) which is an exact replica of a brown bag I already own but in a different colour combination. I absolutely adore it. It's too small for every day wear, alas, but I'm still wearing it loads on the weekend. This is another one where there was an additional 30% off everything when I bought it, so the current price is higher than I paid for it. 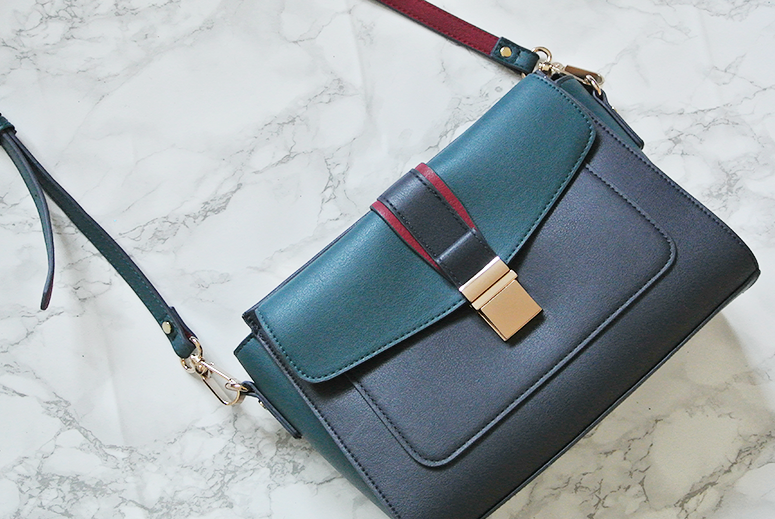 Adeline Large Across Body Bag (from £29 for £14). And that's it for my Boxing Day sales haul! Did you pick up any bargains online or in store? Do tell me about them below. I'd also love to hear about your favourite shops for Boxing Day sales, so I can check them out next year.